I have been working with the Raspberry Pi for a few months and have had a great time experimenting. I plan on documenting some of the things that I have been able to do and observations that I have made. I made a protective Plexiglas case using materials that I found at my local (well stocked) hardware store. Two pieces of 1/4" Plexiglas are held apart by 3/4" spacers (stand offs). The Plexiglas is 4.5" x 3". There are three nylon screws that go through tapped holes in the top piece of Plexiglas to put gentle pressure on three points on the board, holding it firmly in place. The screws are 6 x 32 and 1" long. 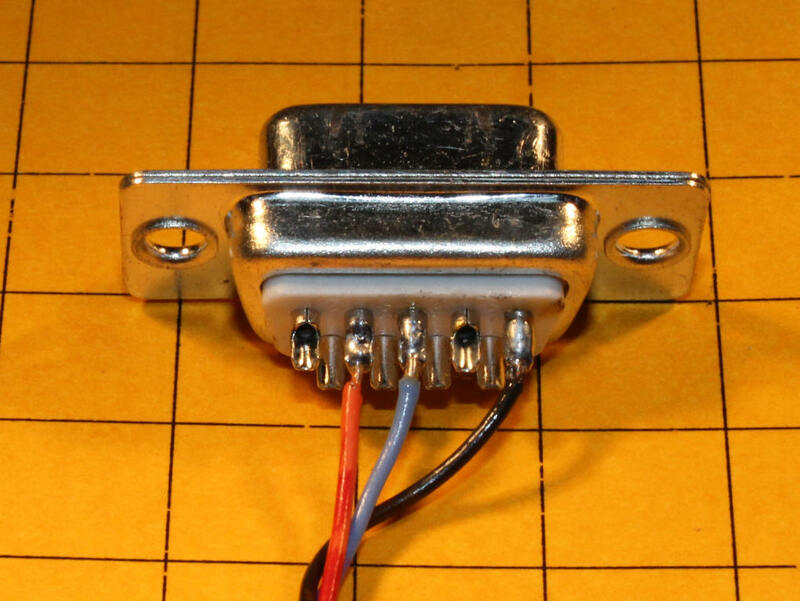 The screws that goes onto the yellow video out connector is way too long and will be cut down in length. A small piece of 1/8" thick gasket material (2" x 1.75") goes under the side of the board away from the SD car socket. This padding helps to level out the bottom and it keeps the board from moving. The gasket material was found in the plumbing department. Make sure you test it to make sure that it DOES NOT conduct electricity before using it! The material I found is rubber and works well. It is similar to this item from Sears. 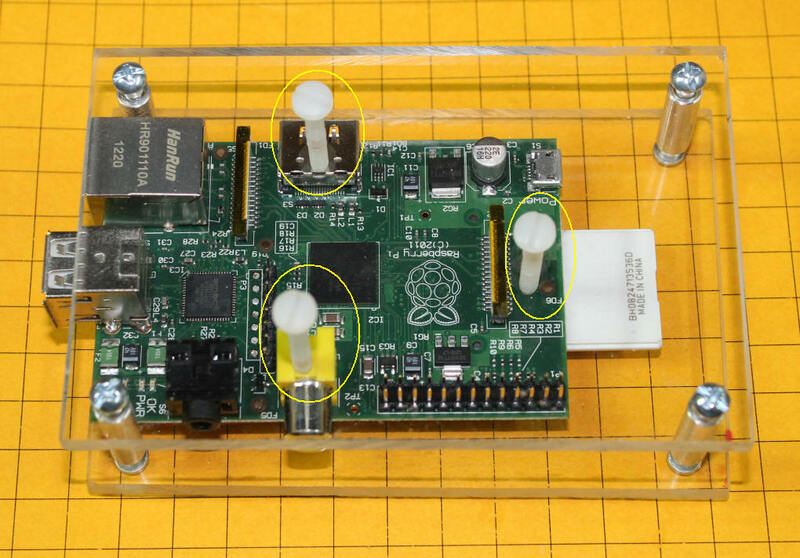 A slot can be cut into the top piece of Plexiglas it access to the I/O pins is needed. If you look carefully at the spacers in this photo you will note that the screws are not fully tightened but there is a small space between the stand off and the Plexiglas. A small washer will be added to fill this space. 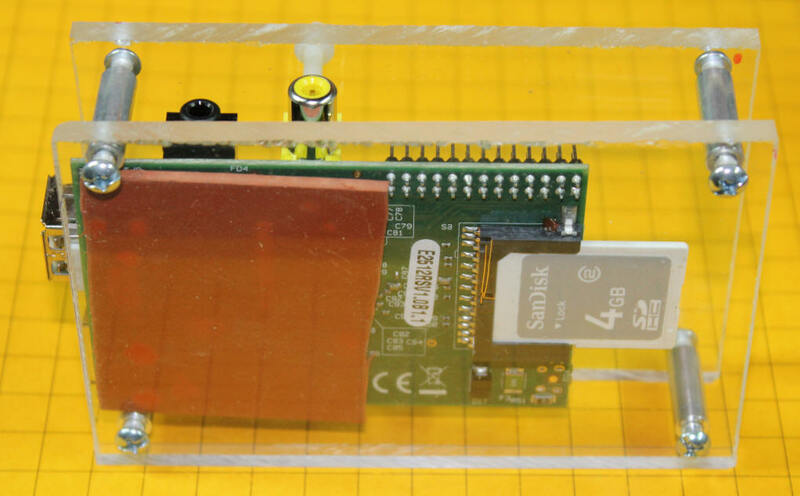 The serial port on the Raspberry Pi can be used to send data strings (text and/or data) to other devices. 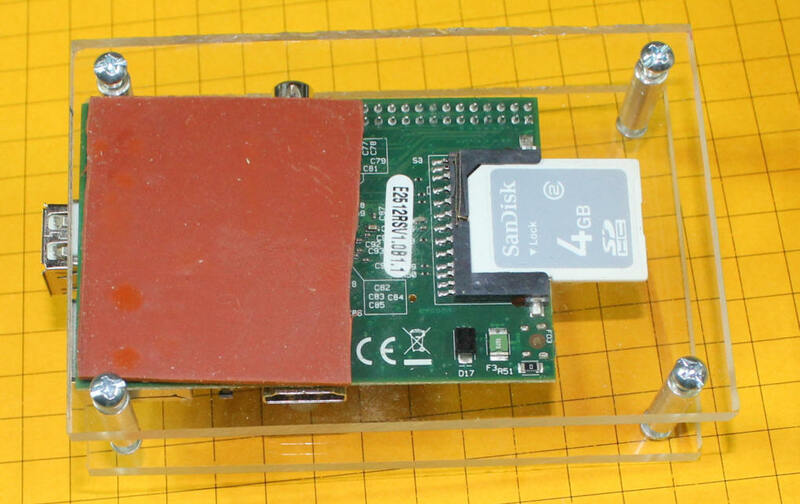 The objective of this project is to get the Pi to send meaningful data to a Pic or PICAXE processor. Start a terminal program on the PC. Set it to 115200 baud, N, 8, 1 - no flow control. Make sure that the correct com port is selected. Connect the UART pins from the Pi to you computer's serial port using the MAX3232 described below. echo "hello" > /dev/ttyAMA0 and press ENTER - note that the last character is a zero not an "O"
I modified the shell script that was shared here: http://www.instructables.com/id/Web-Control-of-Raspberry-Pi-GPIO/?ALLSTEPS so that it would output serial data via the UART that I could receive with a PIC or PICAXE so that the web input would control the microcontroller to do stuff! the "xyz" at the start allows the PIC or PICAXE to start importing data after that string is seen. 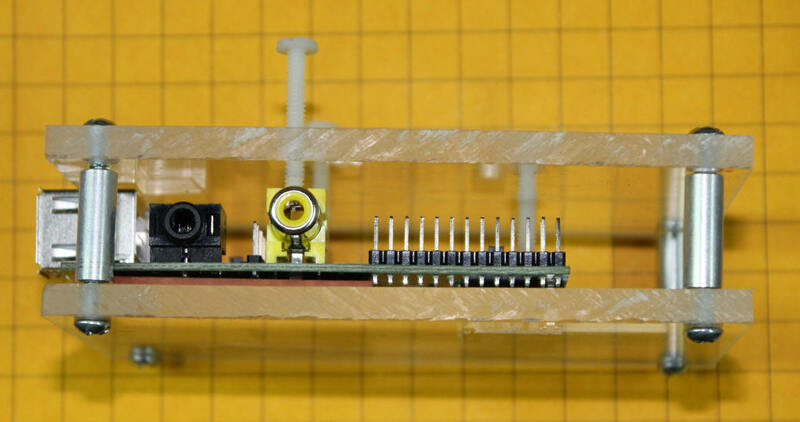 serin c.0,n2400_16,("xyz"),bit0,bit1,bit2,bit3,bit4,bit5,bit6,bit7 ' get 8 characters only after seeing "xyz"
The objective of this project is to use the Raspberry Pi, and its web interface, to select cameras and time delay. The project uses a number of routines and programs that have been written about using the Pi. My hat is off to all of those contributors who made this work possible! Set up the Pi for web control as shown here: http://www.instructables.com/id/Web-Control-of-Raspberry-Pi-GPIO/?ALLSTEPS - this gives you the ability to use a web server on any computer to remotely control the 8 IO pins on the Pi's expansion header. The board that I used is from Sure Electronics - Each of the boards can be broken into four smaller boards like what I am using here. The in-line header is also from Sure. 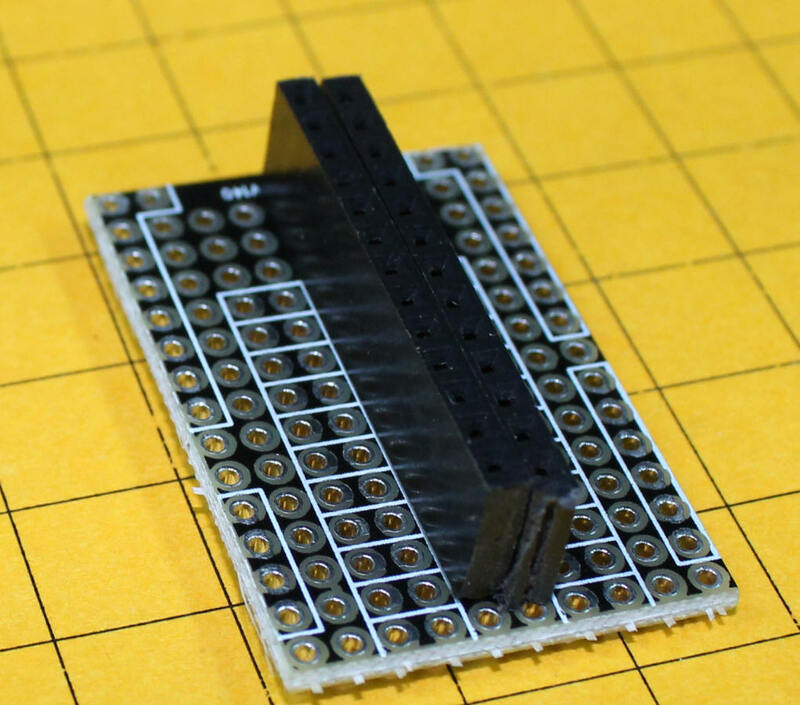 It can easily be cut into two thirteen pin strips for our board. 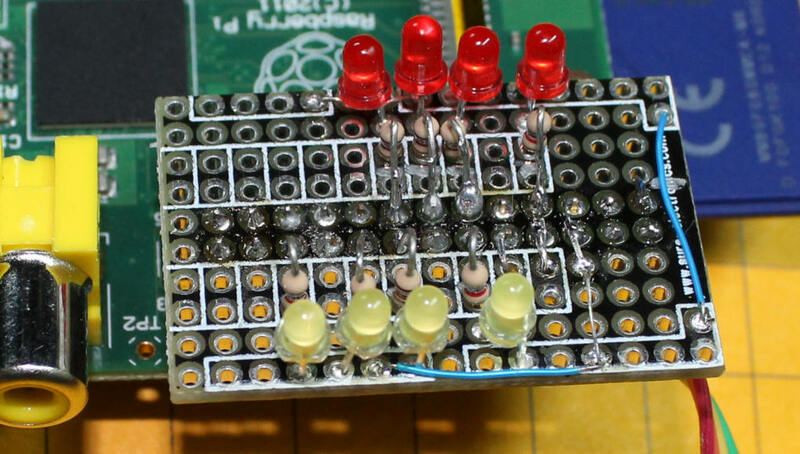 LEDs and 1K resistors were added to each I/O pin. Note that the far left and far right sets of holes are connected to ground. Here is another view of the board. Modify the Web Cam Control board as shown in the schematic - the four switches are removed and they are connected to Pi I/O pins and three or the other pins are connected to Pi I/O pins to select scan time. 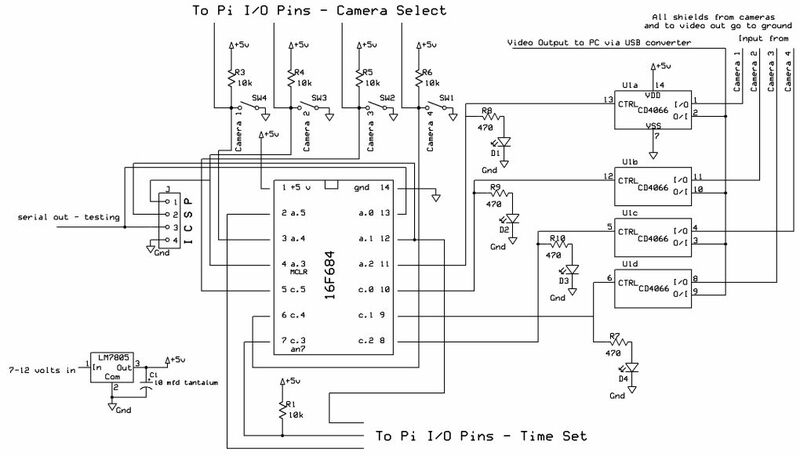 To interface the Pi, which is a 3.3 volt device, to the Web Camera Controller, which is a 5 volt circuit, can be done if all of the I/O pins on the Web Camera Controller are held high by 10k resistors. 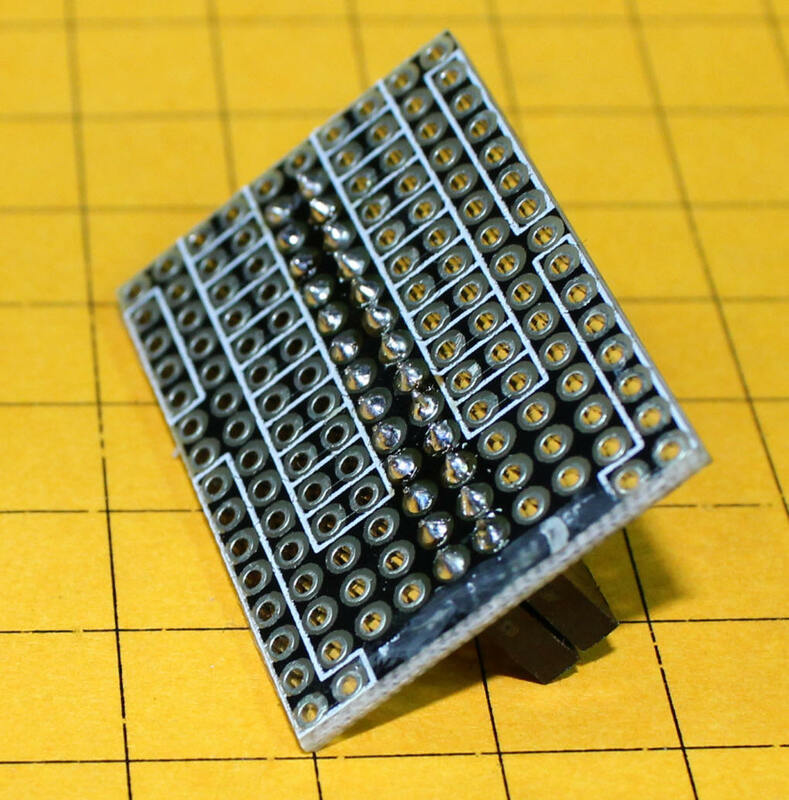 If that is done the Pi's pins can be used to pull those pins low without any harmful voltages passing between the boards. I have tested this for weeks and it works very well. 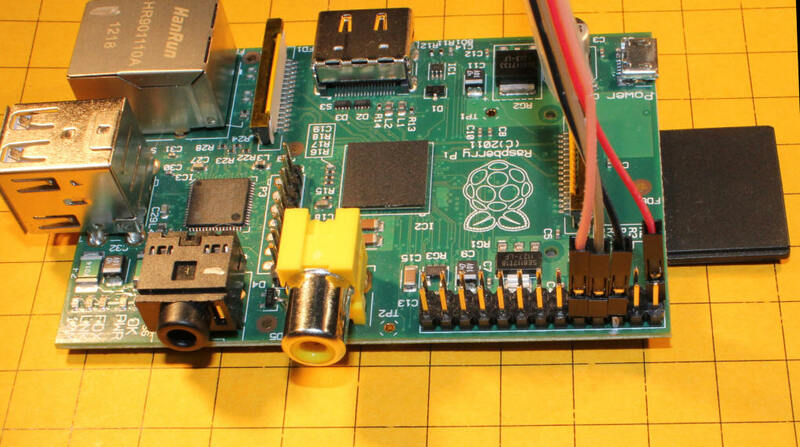 The Raspberry Pi has a built in RS-232 port that is available at pins 8 and 10 on the 26 pin expansion header. In order to connect this port to a standard serial port on a PC or other device the 3.3 volt pulses that the Pi generates must be changed to normal RS-232 levels. There are a number of articles on the Internet that show how to use the MAX3232 to make this change. 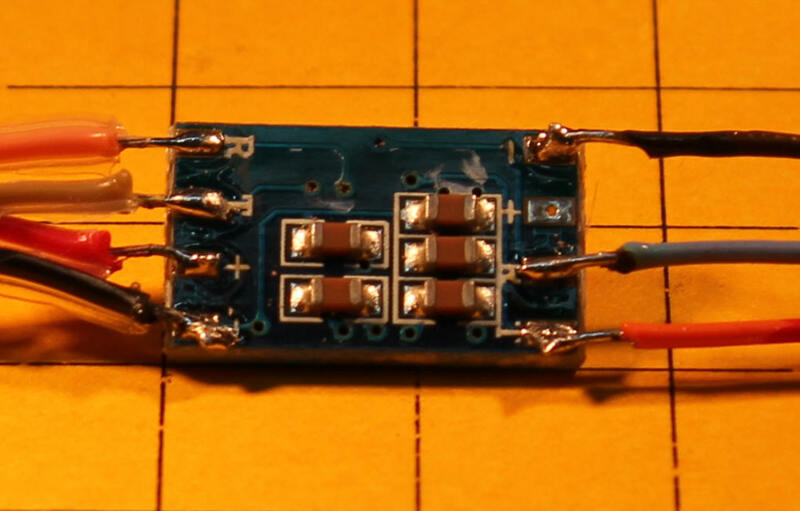 This is not a difficult device to use but requires five capacitors to be fully functional. 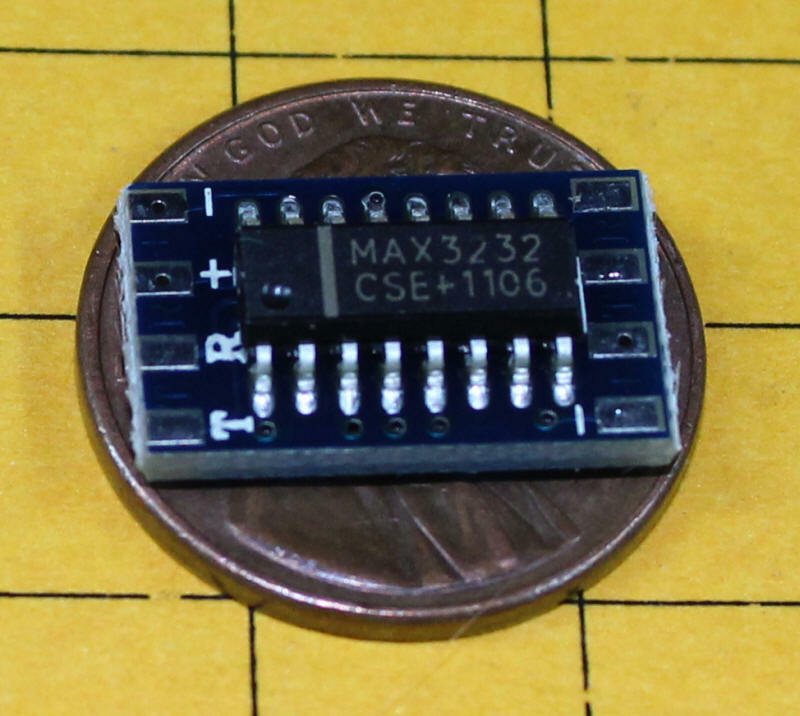 I found a complete MAX3232 board that includes a surface mount chip and the five capacitors on a board that is only 15mm long and 9mm wide. These boards are available from SuntekStore - here is a link to the board: http://www.suntekstore.com/goods-14002601-mini_rs232_to_ttl_converter_module_board_.html. The cost is $2.09 with free shipping. Note that they also sell these in sets of 5 for $6.57 and in sets of 10 for $12.05. Quite a deal! The board is not well documented. Hopefully the notes below will get it working for you. 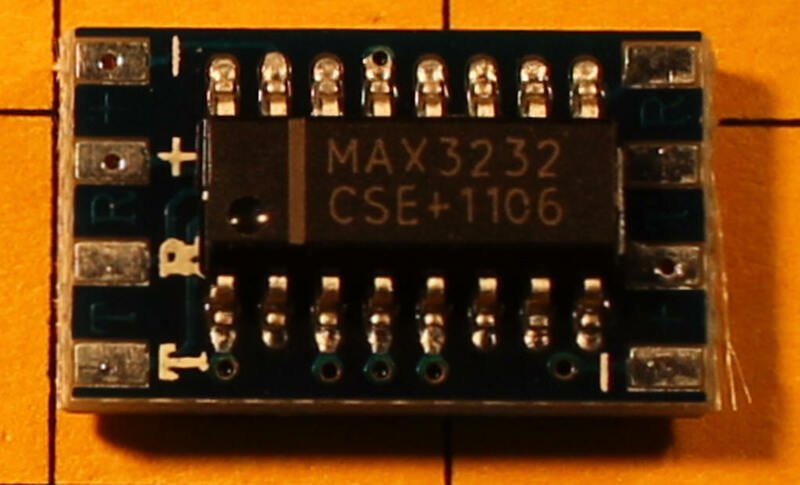 Here the top of the board and the MAX3232 chip can be seen. Even though there are solder pads on this side of the board no connections are made here. The back of the board is shown here. 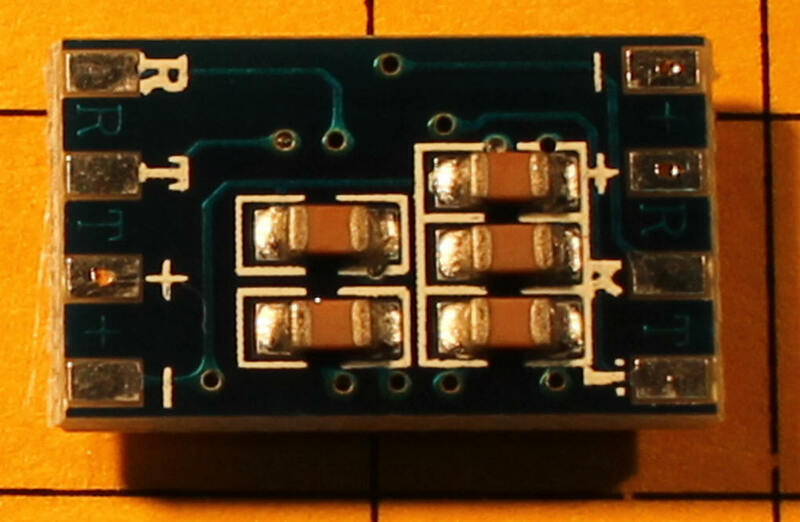 The five small devices are surface mount capacitors. I used the four solder pads on the left to connect to the Raspberry Pi's expansion header. Three of the four pads (the one marked "+" is not used) go to the DB-9 that plugs into a PC's serial port. The silk screen labeling on these pads is not very good. The pads are labeled, from top to bottom, -, +, R, T.
Here is a photo of the completed unit. The DB-9 on the right goes to the PC's serial port. Only 3 wires connect from it to the MAX3232 board, pin 5 (ground), pin 3 (transmit) and pin 2 (receive). 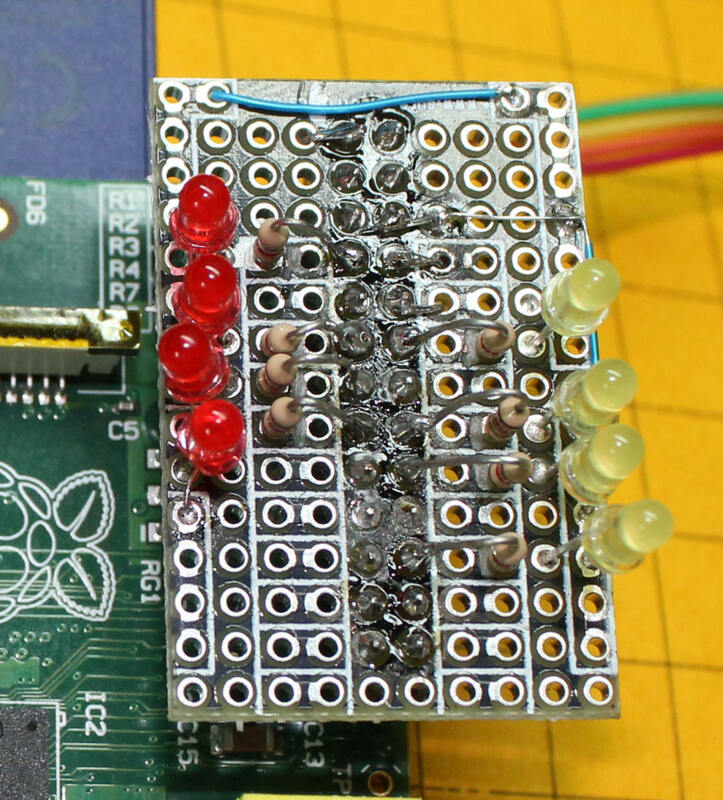 The four wires on the left of the board go to the pins on the Pi's expansion header. The cable coming out from the left side goes to the Pi - these wires came from Deal Extreme and can be found with this link: http://dx.com/p/30cm-breadboard-wires-for-electronic-diy-40-cable-pack-80207 . I cut the 30cm wires in half and soldered the cut ends to the circuit board while the end with the female connectors go to the header on the Pi. The colors used are black, red, brown and orange. It is important to note that all wiring is done on the back of the board, that is the side of the board that has the 5 capacitors, not the side with the MAX3232 chip. The other three connections go to the DB-9 serial plug. Fire up the Pi and, once it boots, start a terminal program on the PC - set the terminal program to 115200 baud, no parity, 8 data bits and no flow control. Press ENTER a few times and you should be rewarded by a login prompt. Major Issue with Serial Receive from PICAXE or PIC processor! that tells you to disable the serial login function - that appears to have been what was killing the serial input from the weather station that I am working to interface with the Pi. The serial would work for a dozen or so inputs from the PIC then would give an error.